The common name for herpes zoster is shingles. Varicella-zoster virus is responsible for the condition; the same virus also leads to occurrence of chicken pox. Herpes zoster begins with light tingling sensations felt on one side of the chest. These sensations could vary from being ticklish to causing intense burning. In many cases pain is localized to one side of the body. The rashes associated with herpes zoster appear a couple of days after the symptoms. The rashes first appear in a small patch over the skin covering the spinal bone. The patch runs from the spine to the abdomen. Some people may also have rashes on the face and the ears. The rashes soon convert into huge painful blisters. The blisters in turn develop into blood filled ulcers. Drying of these ulcers results in formation of crusts. It takes about 2-3 weeks for the crusts to fall off by themselves. The scars left by the rashes are never completely gotten rid off. There are prescription antiviral medicines available for the treatment of shingles. The medication is mainly for boosting the immune system (which weakens considerably due to attack of herpes virus) and controlling the pain. The most commonly used medicines for treating herpes zoster are acyclovir, famciclovir and valcyclovir. However, natural remedies too can treat herpes zoster effectively and completely. Let’s look at some of these remedies. Take handful leaves of Indian lilac or ‘neem’ and put them in a pan of boiling water. Boil the leaves in the water for 10-12 minutes. Remove from flame and cool the liquid. Strain the liquid on cooling. Use this water for bathing the affected areas of the skin. This treatment should be done twice daily. Alternatively, you could also make a paste of leaves of Indian lilac by grinding them with a little water. Apply the fine paste of leaves of Indian lilac all over the affected skin and leave for 20 minutes. Remove the paste using cold water. This treatment should be done three times a day. The treatment helps dry the blisters quickly and also reduces the itching. Make a solution by mixing three tablespoons tea tree essential oil and 1.2 teaspoon olive oil. Apply the solution using a cotton ball on the infected skin. A thin layer of the solution over the skin will suffice. Leave the solution to air dry. Repeat the treatment four to five times in the day. Tea tree oil will kill the virus causing the infection and also help dry the blisters. Take 10 pods of garlic and peel them. Crush the garlic well to form a squishy paste. Apply the garlic paste on the skin. Garlic will help remove the infection causing virus due to its antibacterial and antifungal properties. Use acetic acid for drying the blisters. Acetic acid is found in apple cider vinegar. Apply the vinegar directly on your skin using a cotton ball dipped in the vinegar. Let apple cider vinegar on the skin dry naturally. This treatment should be done five times a day even after the blisters turn into crusts. Regular application of apple cider vinegar will help the crusts fall sooner. Apply a thin layer of calamine lotion over the skin affected with herpes zoster. Calamine lotion will relieve itching and also reduce the formation of scars once the crusts begin to fall off. However, you will need to keep re-applying calamine lotion to prevent scratching of the skin. Grind 5 turmeric sticks to a fine powder form. Mix water with turmeric to form a fine paste. Spread the paste in an even layer on the skin affected with shingles. Leave the paste to dry for 20-25 minutes. Remove the turmeric paste using cold water. Turmeric has antiseptic properties which help get rid of the zoster virus. Turmeric also has healing properties which help repair the damage done to the tissues and cells of the skin thus helping in faster healing. Use cold compress application on the zoster infected skin to deal with inflammation, redness and itching. Wet compresses application will also reduce the need to itch the infected area. For cold compress, fill a zip lock bag with ice cubes and rub the cold bag over the affected skin. To prepare wet compress, soak a clean towel in chilled water, squeeze it lightly and apply it on the skin. You can repeat this treatment through the day to get relief from itching and redness. Take two tablespoons of rose hip essential oil and mix it with ½ teaspoon olive oil. Massage the oil mixture into the skin infected with the virus. Rose hip oil is helpful in repairing the wear and tear caused to the tissues by the virus. This promotes faster healing of the skin. This treatment should be done every day before going to bed at night. The aroma of rose hip oil will soothe your nerves and help you get a peaceful sleep at night. 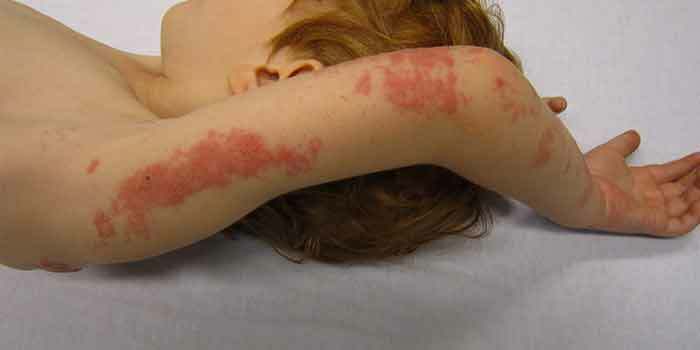 People with herpes zoster often find it difficult to sleep at night because of the pain and the constant need to itch. Prepare lavender bath by adding 10 drops of lavender essential oil to bath tub filled with lukewarm water and oatmeal powder. Soak yourself in this lavender bath for 15-20 minutes. The aroma of lavender will soothe your nerves and oatmeal powder will provide relief from itching. Lightly scrub the skin with the water. Oatmeal powder will gently exfoliate the skin and remove the dead skin cells and dried crusts. This will clean the skin and help it heal better and faster. This treatment can also be done at night before going to sleep. Properties of lavender essential oil will help you get a restful sleep. Cut your nails short so that accidental scratching does not burst the blisters and cause pain. Remember to not let the skin dry up too much. Extreme dryness of the blisters can cause pain as every movement of the body will stretch the dried out skin. Apply a thin layer of oil-free lotion on the skin to protect it from extreme dryness. Moistening the skin will also reduce itchiness.